Holika Dahan is a great ritual of the Hindu religion while celebrating the Holi festival. The night before Holi, pyres are burnt in North India, Nepal and parts of South India in keeping with this tradition. Days before the festival people start gathering wood and combustible materials for the bonfire in parks, community centers, near temples and other open spaces. On the eve of Holi, typically at or after sunset, the pyre is lit, signifying Holika Dahan. The ritual symbolises the victory of good over evil. People sing and dance around the fire. People also perform parikrama of fire. The burning of Holika is the most common mythological explanation for the celebration of Holi. 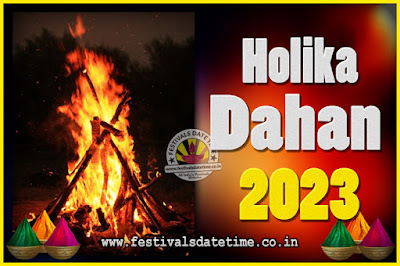 It is a tradition festival which celebrates the Holika death and Prahlad safety by organizing the ceremony known as the Holika Dahan.